Some of the warmest weather seen in early May was the backdrop for RFU Cup Finals day at Twickenham. South Molton and Saltash flew the South West colours, bidding for success in the Junior and Senior Vases. Kicking off at 11am South Molton were soon up against it in their Junior Vase Final tie with Old Otliensians and by half time were trailing 24-9. However they went up through the gears in the second half to score two tries through Zak Stoneman and Daniel Smith to narrow the gap to 24-21 and send the tie into a tense final period. Old Otliensians were not finished and, with South Molton having a second player yellow carded, finally sealed the game with their fifth try followed by a penalty with almost the last kick of the match to win 32-21. Next on stage was the Senior Vase final between Saltash and Wath upon Dearne. With the unseasonal bank holiday weather again forcing frequent drinks breaks it was a stop start affair. 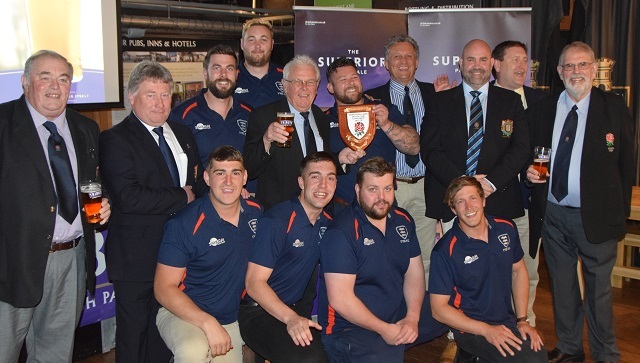 Wath took an early three point lead but Saltash, runners up in the Tribute Cornwall/Devon League, soon overtuned the deficit with an unconverted try and a penalty. Wath then dominated play to once again regain the advantage, leading 22-13 with ten minutes to go. Saltash kept the pressure on and set up a grandstand finish putting the disappointment of a disallowed try behind them to cross the line again to narrow the gap to four points with two minutes to go but could not make a final crucial score with Wath winning 22-18 to avenge their defeat by Wells in the 2012 final. 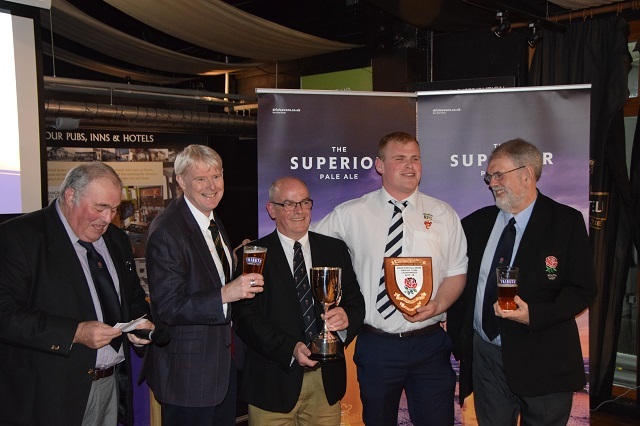 Clubs from all over Cornwall were at St Austell Brewery on Friday night (4th May) to mark ten years of the Tribute Ale presentation evenings and the teams' successes on the field throughout the 2017-18 season. In addition Redruth Albany picked up the You've Earned it Trophy. Despite winning only one league game all season the side the team have solidered on - even bouncing back after their pitch was vandalised. The line up for this season's playoffs is now known. The games will be played on 28th April 2018. Full details and a match card have been posted to all clubs involved. The home club has been established in accordance with the regulations and should advise its referees’ society to ensure match officials are appointed. A reminder RFU Regulation 12.1.1(e)(i)………In a play-off match…..Match Officials CANNOT be appointed from the Constituent Body of which either Club is a member except at the discretion of the Divisional Organising Committee. If, by mutual agreement, clubs wish to play on Sunday or Friday night please let the Admin Office know as soon as possible. Full details of the regulations concerning playoffs – including how the home team is decided – can be found in the Regulations and Competitions Handbook 2017-2018. As with an English Clubs Championship game the home team will be required to telephone the match result in to this office and both clubs will be required to complete a match card in the usual way. Clubs which normally benefit from the facility to play up to two unregistered players in a League match are reminded they may NOT do so in this match. Extra time is 13.6.5(a). 10 mins each way with the usual countbacks if still all square – tries, - then converted tries – then away team wins. The inaugural Wadworth Team of the Month awards have been announced. 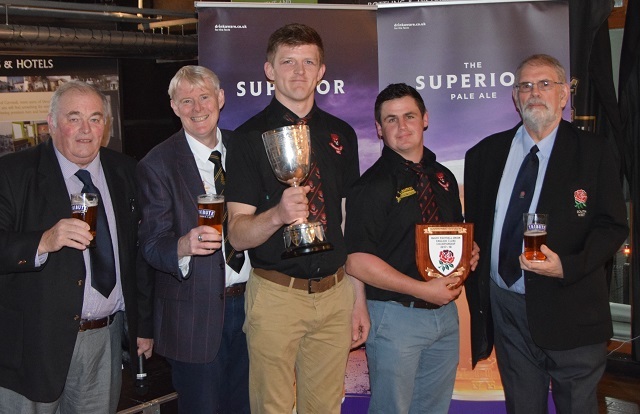 All five clubs will receive a supply of Wadworth Ale to mark their achievement. The fixtures for the second set of games in these two leagues have been released. They begin on the 24th March. The opening fixtures are below - the full set are available on englandrugby.com. They have also been sent to all clubs with an additional supply of match cards. Keep warm...and keep in touch! The South West is facing the very real possibility that large parts of the league programme will be lost this weekend due to the weather. While we are obviously keen that any matches which can go ahead do so, we need to be realistic. Please keep in touch with your opponents and organise pitch inspections sufficiently early to avoid unnecessary travel for both teams and supporters. Remember the guidelines regarding coping with bad weather. If your game is called off PLEASE remember to let the Results Office know as soon as possible - don't assume they will know it is off as conditions can and do vary across the area. You can text your postponment to 07797 800 102 or by telephone to 01822 678 007. We will aim to have details of the re-arranged dates for postponed games on this website and the fixture section of englandrugby.com over the weekend but many games will be on either 17th March or Easter Saturday 31st March (except where clubs (in the smaller leagues) have applied eight weeks in advance for a free weekend). Read more about Keep warm...and keep in touch! Clubs are reminded that the South West reserves the right to carry over points deductions to next season for offences carried out after the transfer deadline. For all matches played on or after 3rd March 2018 points will be carried over at level eight and above where their implementation this season, in the view of the League Secretary, would have no effect on promotion or relegation. At level nine and below the timing of such deductions will be at the discretion of the League Secretary. The efforts of three more clubs have been recognised in the January Tribute Team of the Month awards. Four bonus point wins out of four saw Weston-super-Mare IIIs move up the Tribute Somerset Two North Table. The impressive run saw them move from midtable to third place. In Tribute Devon 1 Dartmouth carved out three wins out of three including a narrow 17-13 success over promotion chasing Topsham. Saltash's 39-10 win over Plymstock Albion Oaks extended their winning run to eight games in the Tribute Cornwall/Devon league. 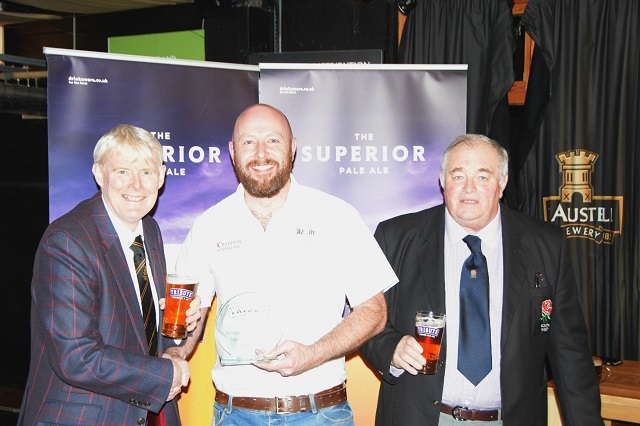 All three clubs have been rewarded with a tray of Tribute Ale cans. The three year sponsorship deal between the South West and Wadworth has been formally signed at the brewer's Devizes headquarters. 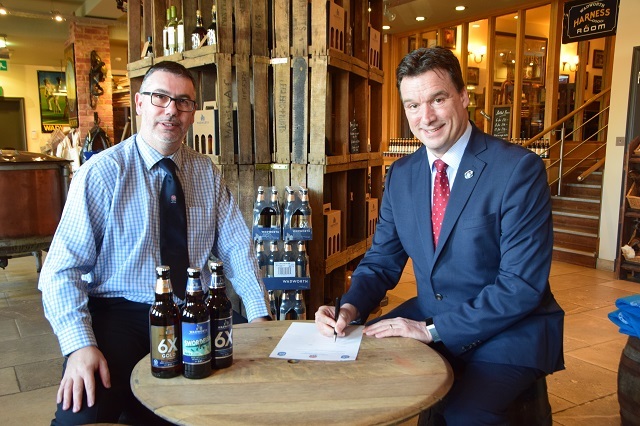 Under the agreement the brewey, which is over 140 years old, has given its name to the county leagues in Berkshire, Buckinghamshire, Dorset & Wilts, Gloucestershire and Oxfordshire as well as South West 1 East and Southern Counties North and South. Clubs have also received a cash award each and the five Constituent Bodies (CBs) have received payments too. Today (1st February) the South West, in conjuction with Wadworth, is launching a team of the month award for those taking part in the sponsored leagues. Each month during the season there will be five winners, one from each CB, who will receive a supply of Wadworth Ale as a prize. The awards will be decided locally and go to a club who, in the judges' opinion, has had a noteworthy month. That may be by winning all their games, or bouncing back from a heavy defeat or just pure perservance in the fact of adversity. The inaugural awards will be announced at the end of this month.